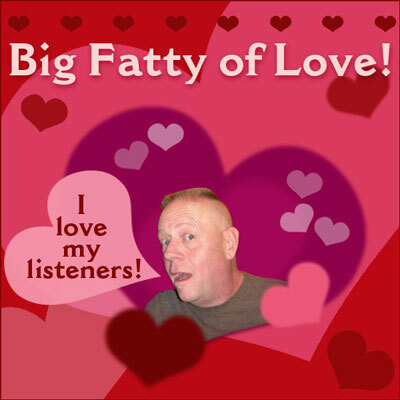 It’s half-priced VD candy Day and the Fat One has a LITTLE show filled with Vader and Bacon calls. So-So questions return tomorrow! Posted by Big Fatty in Podcasts on February 15th, 2017 ‌ Both comments and pings are currently closed. Where do I sign up to wrestle Mrs. Bacon to the death for the opportunity to be Larry Vader’s new secret lover? I’m assuming, of course, that the position comes with free Mystery Date visits to the mobile mansion. I thought there’d be an answer to Gus Chad’s so-so questions today. Good work, Gus Chad! Everybody wonders how Poodle and BF are related. Awaiting the answer off the air (with bated breath and untied shoes). Hope Miss Beaver has time to go to the library and look it up! Also… My Rand McNally Road Atlas has no Barbara Boulevard in Florida. Is Barbara Boulevard actually an old movie star? Or is it perhaps a quiet street in a hitherto unknown area of Fullerton, California?